When talking Myrtle Beach and Golf, there is no other place that compares. With over 80 championship courses, hundreds of hotels, a plethora of dining options, nightlife, and the beautiful Carolina Coast, Golf Town, USA has something for everyone. As a group leader, this is something that you have to think about when it comes to planning a golf vacation. There are literally thousands of combinations when it comes to golf and lodging. The Golfmasters at Golf Trek know them all!!!! The Myrtle Beach Golf Package industry has changed and it makes harder and harder for a group leader to book a package for himself and his golf buddies. Golf Trek has been planning Golf Vacations in Myrtle Beach since 1979 and the company is still going strong today with over One Million rounds booked. Our golf directors live local, eat local, and play a lot of golf!! Hey, don’t judge, we have to test out the product for our clients. 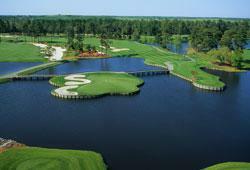 Here are a few tips on how to book a Myrtle Beach Golf Package. Step 1: Get the group together! Discuss with the group dates, how many golfers, flying or driving, how many nights, how many rounds, and most important WHAT IS THE BUDGET? These are critical parts of the trip that is a must know to get your package started. The number of golfers affects the lodging. Booking your flights early help you get a cheaper flight and your package can always be booked around the flight. Driving into town, no problem play a course like Jack Nicklaus’ Long Bay Club or an afternoon round at the Legends Resort and Golf. The Budget is just as important as our Golfmasters are trained to get visiting golfers the best courses and lodging for the price they want to pay!!! Golf Trek has 10 certified Golfmasters to help every level of golfer and every budget. 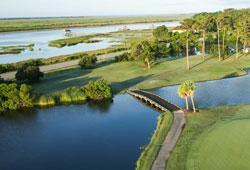 Our knowledge and service are second to none and we pride ourselves on setting up the best package for golfers visiting Myrtle Beach and the Grand Strand. Once you have talked to a Golfmaster and received your quote, the quote is good for 72 hours. Why only 72 hours you ask? 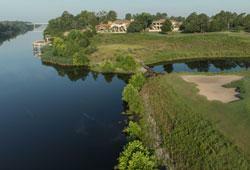 The golf courses and lodging are now on a dynamic price schedule. What does this mean? The tee times are priced by the hour, and the further out you set up your package, the cheaper the rate. As courses fill up the tee times sheet, the rate also goes up. The earlier you book, the better the deal, plain and simple. Now you have the “Go Ahead” for the guys and you are ready to set up your trip. You will need to know the courses/package you want to play. Around what time of the day do you want to play? Do you want to stay downtown, oceanfront/ocean view, golf villa or hotel including your check in and out dates? Now that your package is booked, your confirmation is sent directly to the group leader. Golfers can pay directly through our website and you can even make payments. At Golf Trek, you can make multiple payments through our secure payment portal. This is similar to a Golf Package layaway plan!! Once the package is paid 30 days before arrival, the Final Itinerary is sent to the group leader via email with golf tickets, check-in instructions and more.